Regenerative medicinal plant extracts from marshmallow, oak and nettle provide moisture and strengthen your scalp and hair. Wheat and milk proteins provide protection, elasticity and volume, and neem, macadamia nut and jojoba oils restore shine, vitality and manageability. The result: healthy, cared for hair with natural shine and vitality. 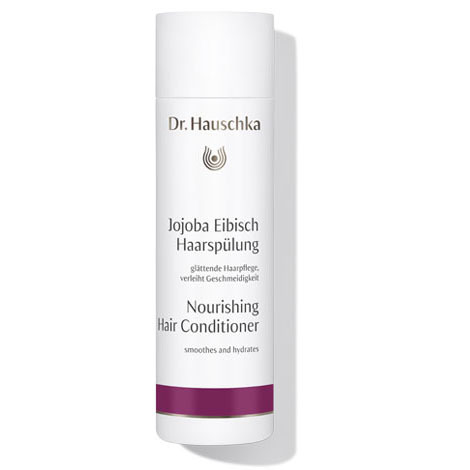 Dr Hauschka hair conditioner lives up to its name. It does nourish and leaves my hair lovely and soft as well as manageable. I would never use any other hair conditioner. Not only does it contain all natural ingredients but they are also organic. What more could I need? My recommendation would be Dr Hauschka every time. Thank you. I use a quality shampoo but this gives my hair that extra bit of tlc especially during the winter.